“One team” means we’re on the same team. This seems obvious, yet too often we observe teams that forget. Consequently, they quickly slide into abysmal levels of productivity. The primary symptom or indicator that a team is at risk of such dysfunction manifests this way: Individuals have conversations for the purpose of winning them. Conflicting priorities make for competing personnel. Even without clashing objectives, however, we all want to look good; we want to win. One powerful antidote to communication competition is transparency. 1. When we debate ideas, what’s our priority: proving others wrong or mutually discovering the best path forward? 2. Does our tone and choice of words dismiss others as idiots or are we activating the strength in the team by seeking diversity of thought? The levels of transparency injected into communications predict what a team will accomplish. What is your priority as you enter into conversations? And do both parties share a common motive? 1. What does it look like for a team to become stronger as they communicate with one another? 2. In what ways can we become more transparent in our discussions? And how will doing so specifically impact our performance? 3. Who on our team can we learn from who regularly models transparency in communication? 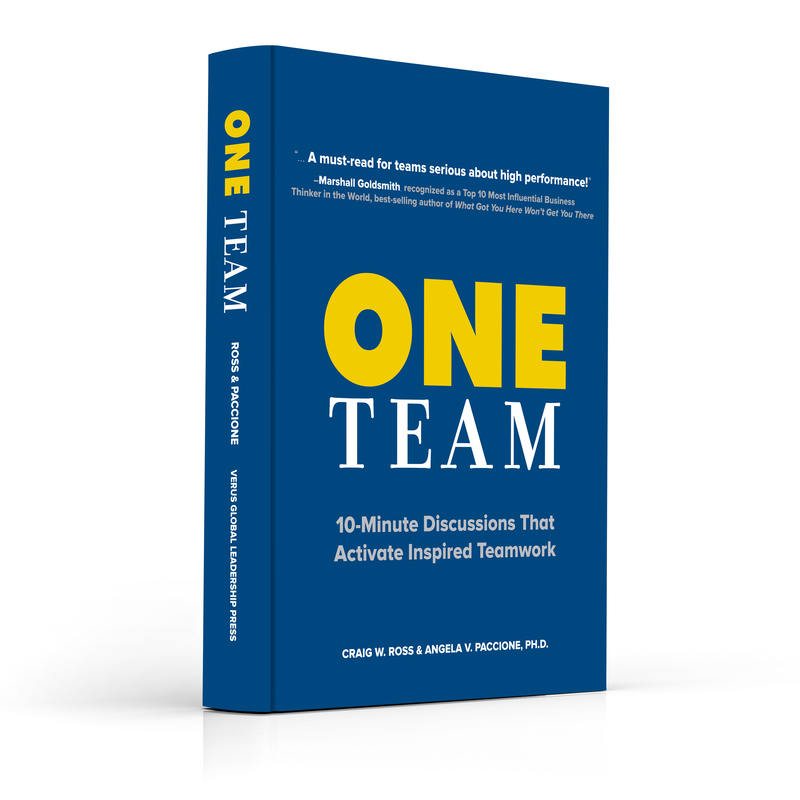 The excerpt above comes from our newest “must-read” book, ONE Team: 10-Minute Discussions That Activate Inspired Teamwork by Craig W. Ross and Dr. Angela V. Paccione. We invite you to learn more about the book (including more free content) and purchase it here.